In this demo I’ll cover several vital ideas about gesture drawing you can begin applying to your drawing practice right away. Free Demo - Zorn Palette! I teach the Cours de Dessin by Charles Barque, an in-depth, progressive approach to drawing that's tried and true! 3 Day Workshop: Big Brush Portraits! Riata, 16 x 20, from life. Spock - oil on board. 5"x7"
Come by and see my latest portrait series painted with my circle of artist friends and landscapes! First Thursday Reception from 5 -8pm. Eastern Oregon, palette knife painting by ef. 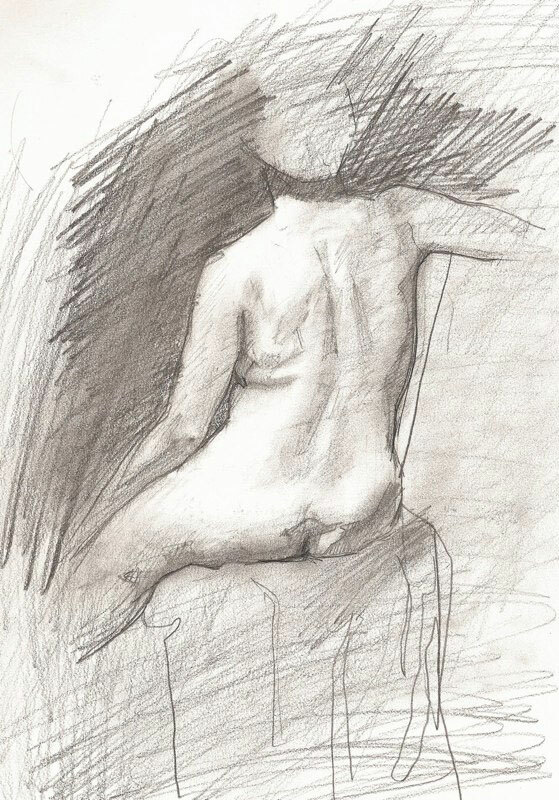 Figure drawings are built in stages and are designed with important artistic principles in mind. 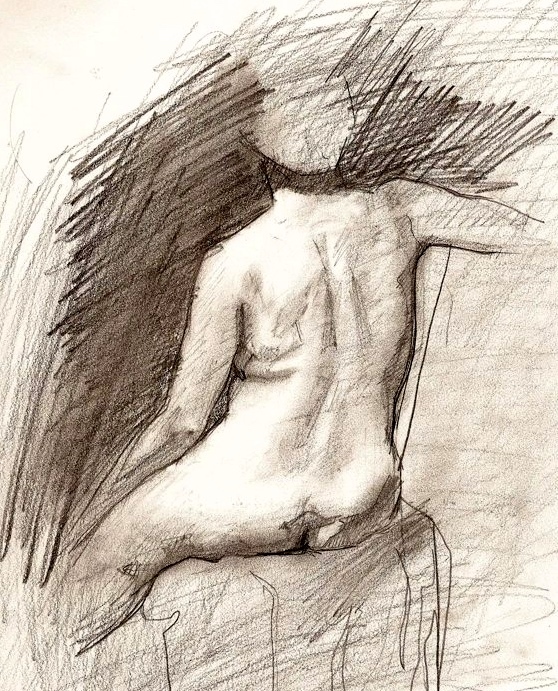 This workshop will focus on a “ figure drawing action plan “ to advance your drawing skills. And includes explorations of gesture, structure, human design and technique. Info & Registration: Multnomah Art Center, Mon - Thurs. 9;30 -4:30. A working process to progressively finish a portrait study in three hours using big brushes and a limited palette of just four colors! Basics of head anatomy, lighting, use of materials and discussion of master works will be covered. A working process to progressively finish a portrait study in three hours using a time-tested approach with a limited palette of just four colors. Create more expressive drawings and better understand the unique and dynamic design of the human figure - a wellspring of inspiration for artists and designers throughout history! Bring your easel and join us for a weekend of outdoor painting at scenic Luscher Farm. The workshop will focus on the six essentials of plein-air painting. Join us at Luscher Farm's awesome flower garden to paint florals! On exhibit for the month of April and May are paintings and photography by current and former Artists-in-Residence of the University Club. Please join me on opening night to view my latest work along with a line-up of other terrific current and former UC artists-in-residence such as Aimee Erickson, Thomas Kitts and Eric Jacobson. Opening: Wednesday April 6th form 6pm - 9pm. Work from a live model and learn the essentials of portrait painting using a full palette. Some experience with drawing and basic understanding of oil or acrylic painting recommended.